Location: ND Department of Commerce, 1600 E. Century Ave. 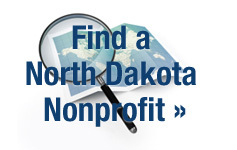 The state of North Dakota is awarded funding each year for AmeriCorps and is excited to fund new projects. The workshop will focus on the AmeriCorps funding and information on other opportunities that the Corporation for National and Community Service has to offer. There is no fee for this workshop but pre-registration is required by e-mailing Ryan Volk at rdvolk@nd.gov or calling 701-328-6048 by 4 p.m. CT on Monday, Oct. 29.